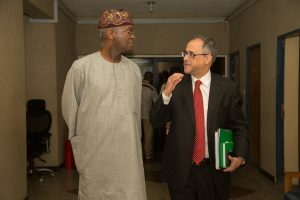 Minister of Power, Works and Housing, Mr Babatunde Fashola, on Monday, said Africa must intensify efforts at improving transmission grid for renewable energy to be effectively developed on the continent. 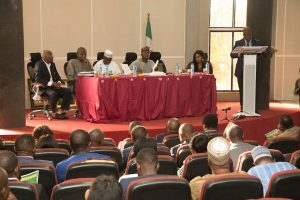 The minister spoke at the opening of a two- day Conference on Renewable Energy Development organised by the Centre for Petroleum, Energy Economics and Law (CEPEEL ) of the University of Ibadan. 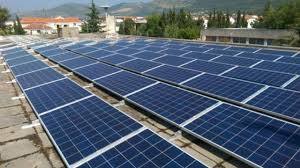 Represented by the Director of Renewable and Rural Power Access Department in the ministry, Farouk Yusuf, the minister said Nigeria as a committed member of both the United Nation, African Union and ECOWAS has adopted several international treaties and policies which promote the use of renewable energy. This, he said, was in line with the national vision to provide incremental power, and then steady and uninterrupted power. The minister said that the Federal Government recently approved an integrated energy MIX targets under Electricity Vision 30:30:30 which targets generation of 30 GW in year 2030, with 30 per cent from renewable energy sources. “Africa has trillions standard cubic feet of natural gas reserves, billions of barrels of crude oil reserves and billions of tonnes of coal. “But Africa has even greater abundance of renewable energy resources. Unfortunately, of the nearly 1.5 billion people estimated to lack electricity supply world over, half live in Africa. ” Nigeria alone is estimated to have over 90 million people living without electricity supply, according to the World Bank,’’ he said. The minister, who also said that power generation capacity in the country currently is about 7000 MW, added that government was making efforts to complete and inaugurate some renewable energy projects. He listed the projects to include the 10 MW Katsina wind farm, 30 MW Gurara Hydro Power, 29 MW Dadin Kowa Hydro Power and 40 MW Kashimbilla Hydro Power. The minister further disclosed that large projects such as the 3050 MW Mambilla Hydro Power and 700 MW Zungeru Hydro power initiatives as well as the 14 Solar IPPs were expected to come on stream. Represented by his Chief of Staff, Gbade Ojo, the governor said African countries must set their minds to improving the level of energy efficiency that would enable the country to meet the Sustainable Development Goals. ” Then we must propel our ship to move at full speed in proactive solution for scaling up renewable energy, ” he said. The Vice-Chancellor of the University of Ibadan, Prof. Idowu Olayinka, said that the theme was relevant and critical given the current energy challenges. ” The significance is not just for the town but also for the gown as the university spends very considerable amount of money to ensure stable electricity supply that can support research, training and other activities,’’ he said. 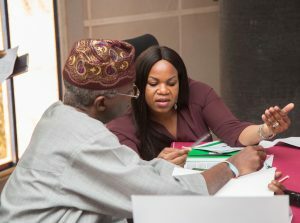 The Director of the centre, Prof. Adeola Adenikinju, said that the provision of energy infrastructure engenders a multidisciplinary perspectives to solve energy challenges. According to him, a multidisciplinary approach is needed for providing adequate and reliable energy infrastructure. “The conference has been organised to learn from experiences in tackling energy challenges in the West Africa subregion.